According to the latest reports, the well-known Japanese multinational corporation that designs and manufactures electronic products, of course, Sharp has recently, demonstrated a foldable screen that can be folded in a flip-like format, making a smartphone 50% less and more compact when stored. The well-known Japanese multinational corporation that designs and manufactures electronic products, of course, Sharp has recently, demonstrated a foldable screen that can be folded in a flip-like format, making a smartphone 50% less and more compact when stored. Basically, the prototype may be just what the well-known smartphone manufacturer, of course, Motorola needs for a revised Razr with modern features. The model presented by the well-known Japanese smartphone manufacturer has a screen size of 6.12-inch, which is made with OLED technology with a resolution of 3040 x 1440 pixels, in addition to displaying colors in assent with the DCI-P3 standard. Moreover, the most interesting point of this model is that it is not exactly what exists in manufacturers like the Huawei, Xiaomi or the South Korean giant Samsung, who have created devices that fold and become smaller. Hence, the model presented by the well-known Japanese smartphone manufacturer, of course, Sharp puts what would be the common screen of a smartphone that is not too big but can be folded vertically that simply allows you to have the device saved by taking up less space in this orientation, just like all other flip phones did in the past. Now, finally, the screen passed the bend tests (100 thousand times), with no apparent damage. That is equivalent to opening a smartphone with that screen 273 times a day in a year. It may sound like a lot, but if you open the device every time a notification arrives, you’ll certainly get that amount without much trouble. 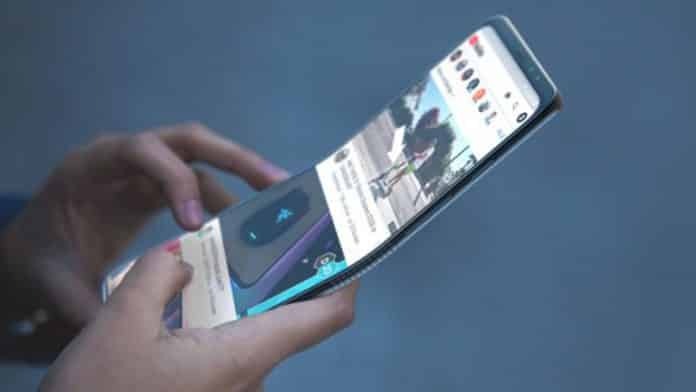 Moreover, the South Korean giant Samsung promises that the Galaxy Fold screen has been tested in an environment where opening and closing are 200,000 times, which is twice the Sharp. The screen presented does not have any date to appear in any model of Sharp itself or any other companies, but it would be quite interesting that a Motorola Razr could take its rebirth with this new display of Sharp. So, what do you think about this? Simply share all your views and thoughts in the comment section below. And if you liked this post then do not forget to share this post with your friends and family.